The Community Foundation Professional Advisor Council's best practices for helping your client utilize the Community Foundation for philanthropic gift and estate planning. Best Practice #1: Contact the Community Foundation in advance to alert the Development Director or Donor Services Coordinator of the gift. - For stock transfer gifts, notify the CF of the donor name, approximate number of shares and type of stock, as well the intended fund to receive the gift. - If your client would like to establish a named fund with his or her gift, contact the CF to create a simple fund agreement outlining the client's wishes and purpose for the fund. - For gifts of real estate or tangible property, contact the CF to arrange for the gift acceptance committee to conduct an evaluation. Best Practice #2: Ask the Community Foundation to establish a Memorandum of Charitable Intent for your client's planned gift intentions. This simple, one page document will provide the details of how your client would like his or her funds to be used by the Community Foundation. The Memorandum of Charitable Intent (MOCI) ensures that your client's gift to the Community Foundation is distributed to the correct fund or multiple funds and in the proper amounts or percentages. The MOCI can be modified at any time through the Community Foundation as your client's desires change. Though your client may choose to include the Community Foundation or a specific fund at the Community Foundation in his or her estate plan without a MOCI, establishing one with the Community Foundation is highly recommended. 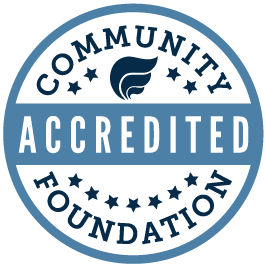 Best Practice #3: Name the Community Foundation as the designated beneficiary. The Community Foundation is a perpetual institution with strict requirements for endowed gifts, ensuring that they will truly keep giving forever. When a client wants to direct a gift to benefit a specific charitable organization, by establishing or adding to its endowment fund at the Community Foundation, do not name the specific organization as the beneficiary. The Community Foundation should always be named as the beneficiary instead. When this is done, together with a Memorandum of Charitable Intent, your client's intent to endow the gift permanently is protected. I hereby give the Community Foundation of Bloomington and Monroe County, Inc. ___________________________(describe dollar amount, percent, fractional interest, or property) to be held as endowment. I direct that this gift to the Community Foundation of Bloomington and Monroe County, Inc., be held as endowment and used for the following purposes: _______________ or be designated for the____________________Fund, as directed in my Memorandum of Charitable Intent on file at the Community Foundation*. I direct [all or a percentage of] the rest, residue, and remainder of my estate, both real and personal, to the Community Foundation of Bloomington and Monroe County, Inc., and be held as endowment and used for the following purposes: _______________ or be designated for the____________________Fund, as directed in my Memorandum of Charitable Intent on file at the Community Foundation *. If [name/s of beneficiary/ies] do not survive me, I give the share that otherwise would be distributed to [name/s of beneficiary/ies] to the Community Foundation of Bloomington and Monroe County, Inc. to be held as endowment [add specific use or Fund description, as desired by client]. If none of the named beneficiaries survive me, I give the rest of my [estate/trust] to the Community Foundation of Bloomington and Monroe County, Inc. to be held as endowment [add specific use or Fund description, as desired by client]. Legal name: Community Foundation of Bloomington and Monroe County, Inc.
*See Best Practice #2: Establish a Memorandum of Charitable Intent above. Some retirement / insurance plan forms have a limit on how many words can be included in the beneficiary language. To benefit a specific organization or existing endowment fund at the Community Foundation, include all of the following if possible: "Community Foundation of Bloomington and Monroe County, IN for the [benefit of name of organization / name of fund]. " If this exceeds the maximum word limit, contact the Community Foundation for the specific fund's four-letter code and reference that code after naming the Community Foundation. Very best practice is to memorialize your client's wishes with a Memorandum of Charitable Intent (see Best Practice #2) or a document with the full bequest language above (see Best Practice #4). Best Practice #4: Reinforce your client's intentions by including directions for the gift in the client's will / trust. To ensure your client's gifts are used as he or she intended, also include directions for the gift in the client's will or trust documents. Even if the gift is made entirely by beneficiary designation on an IRA or insurance policy, including the gift intention in the will/trust reinforces the client's wishes and can be communicated to the Community Foundation if needed. State any restrictions on the gift, such as use for a specific agency endowment or for a particular field of interest, as well as the overall restriction to hold the gift as endowment. A distribution in the amount of $XXXXXXX (or percent) will be added to the (Name of Fund) Fund, an endowment already established at the Community Foundation. A distribution in the amount of $XXXXXX will be used to establish an endowment fund (describe type, name, and purpose of fund).